Laurie brings an exuberant American feel to her yoga as she trained at Sun Moon Yoga Studios in Mankato, Minnesota with Yoga Alliance and she still maintains strong links with the US yoga community. She is the owner and proprietor of York Yoga Studio. Because she believes strongly that everyone can benefit from a yoga practice which develops strength, mobility, awareness and serenity, the studio offers Hatha Yoga classes suitable for all levels, from Introduction to Yoga ideal for beginners, to Dynamic Hatha and Vinyasa Flow classes focusing on breath and movement. The studio appreciates that while ‘truth is one, paths are many’ and therefore a wide range of yoga styles, from Iyengar to Kundalini are offered. Nicky Thomas has enjoyed the practice of yoga for over 20 years and completed the Yoga Alliance training while living overseas. Informed by her background in Traditional Chinese Medicine, Nicky has an understanding of many health problems, which she likes to address through her yoga practice. Nicky also trained in Qi Gong and Tai Chi, which are strands of Chinese Medicine, with two Chinese martial arts specialists during her time overseas. Nicky's love for both forms of movement inform her practice today and she regularly incorporates a little Qi Gong into her yoga classes to help students combine movement with deep breathing, enhancing relaxation and developing a greater awareness of the body. In addition to teaching yoga here at the Studio, Nicky practices acupuncture at York Yoga Studio and York Natural Health and is a Clinic Supervisor at the Northern College of Acupuncture. Clare has been practising yoga for health and pleasure for over 10 years. In 2013 she combined her interest in yoga and a lifelong ambition to visit its birthplace in India. Here she undertook a 200 hour yoga alliance teacher training course and also fell in love with India. On returning to the UK, Clare began teaching yoga in York combining this with cooking for a living in various parts of the UK and Europe. In 2014 Clare chose to deepen her knowledge of yoga and returned to India in 2014 where she trained at the Krishnamacharya Yoga Mandiram in Chennai before travelling around the south of India, teaching yoga in Goa, spending time at the Sivananda Yoga Ashram in Kerala and taking part in the 10 day silent meditation retreat vipassana. Kate Goodwin has been practising Iyengar Yoga for over 12 years. Iyengar Yoga Teacher certification is a long and thorough process, and Kate is qualified to teach Levels 1 & 2. The Iyengar Method appeals to her because of its unique precision and depth. Kate says, "Iyengar Yoga calms and soothes the nerves as well as restoring physical and mental energy. When we create space through yoga in the physical body a lightness is felt in the soul. Strength, stamina and peace are created. This change works its way from the body to the soul and after time the lightness starts to grow from the soul and moves through the mind to the body. My classes are for everyone and the postures are covered in close detail, creating a firm foundation and understanding of the basics of yoga practice which last a lifetime. My aim is for all my students to leave a yoga class feeling refreshed, revived and relaxed and ultimately better than they did on arrival!" Paulene has been practising yoga for over 20 years and teaching for 5. She started attending classes as a break from 3 small boys. From the very first class she attended she loved the way it made her feel both mentally and physically and wants to pass that love on to everyone! After deepening her practice with the BWY Foundation Course she decided to continue her training and went on to complete the BWY 500 hours Teacher Training course. Since then she has been influenced by many styles and schools of yoga and loves bringing all of that experience into her teaching. Paulene’s classes are friendly and welcoming. She truly believes that yoga is for everybody, not just for the fit and flexible. Yoga can become part of anyone’s life to discover and enjoy its transformative power for body and mind. Susan has had yoga in her life for over 18 years. Her yoga training and professional registration is with the Yoga Alliance (200 hour level), and she I has also undertaken additional training with world renowned teachers such as Nadia Narain at Triyoga, Uma Dinsmore-Tuli, Judith Hanson Lasater and Norman Blair. Her mission is to help you find some time and space to reconnect with yourself in this busy world. She has an inclusive, straight forward approach to yoga that simply helps you to feel good in body and mind. Her classes and workshops are friendly, supportive and nurturing and aim to foster a sense of community. She uses simple language and try to relate the classes to our modern lives. In Susan's classes you will experience yoga postures for the body, combined with simple breathing exercises and meditation and always with time for a guided relaxation at the end. She believes that making even a small amount of time in your life for yoga can be hugely rewarding whatever your age, fitness level, shape or size. She hopes to show you that yoga is for everyone, and can help you feel so much better in your body and your mind. I began practicing yoga during university to help alleviate stress and anxiety. I started going to a local class and quickly realised yoga was so much more than just exercise. Yoga offered space to clear my head, get out of my thinking mind, and see things from a new perspective. In 2014 I decided I wanted to deepen my knowledge and took a foundation course with The British Wheel of Yoga, which then inspired to me complete a Yoga Alliance training course with Amiyoga. Yoga allowed me to understand the power of my own breath, and continues to teach me how to slow down, listen to my body and be present in the moment. I find deep clarity of mind and relaxation through my practice, and love how it naturally becomes moving meditation. It is my intention to share these aspects of yoga with my students. My practice is always inspired by kindness to the self and others. I feel this is the most fundamental part of yoga. 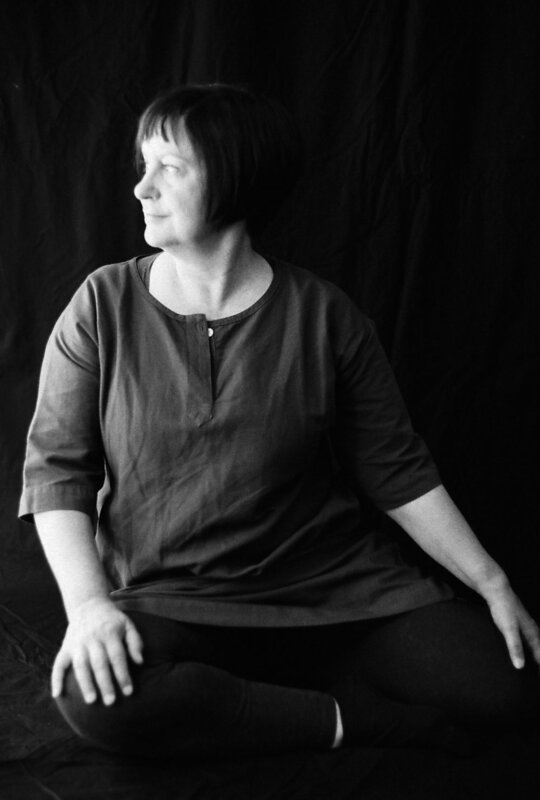 Julie Wrigley has started her Feldenkrais practice after 12 years studying Feldenkrais by attending weekly Awareness Through Movement lessons and completing two years of intensive training (80+ days) to become a guild-certified Feldenkrais teacher. As a non-sporty person, she enjoys activities that allow for personal exploration rather than competitive achievement. She especially enjoys this aspect of Feldenkrais - in class, students are encouraged to be interested only in their own movement experience. There is no comparing with others, nor even any demonstrations by the teacher. Students are allowed time to develop sensitive awareness of how they are moving, as a tool for improving movement. From his judo black-belt days, Moshe Feldenkrais (the originator of the method) had a masterful understanding of how to move effortlessly in the medium of gravity. When Julie does an Awareness Through Movement lesson, she sometimes experiences unexpected similar moments of magic as tension melts away, leaving her feeling free and weightless. This is what has kept her coming back for more! 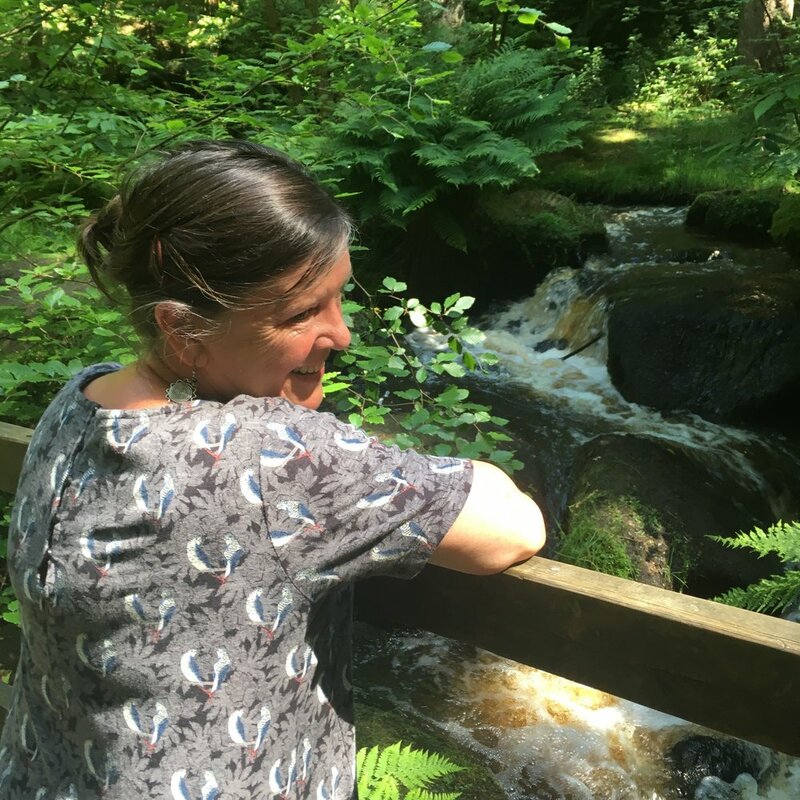 Julie continues her professional training for a further two years, after which she will be able to start offering private, hands-on Functional Integration lessons, for people wishing to address deep-seated movement challenges. Jean trained as a PE teacher at college, where she found she loved the study of movement and dance. She continued this love of movement by training with the KFA (Keep Fit Association) and taught classes part time alongside my PE work in York schools. She discovered Pilates over ten years ago which she felt perfectly fitted her style - individual with a touch of creativity! Teaching Pilates allows Jean to really know the person - her clients, whether in a group or individual setting. The opportunity to teach in a more relaxed and individual style appeals to her as does the pleasure of teaching itself. She trained with Modern Pilates and has continued her training with them and APPI (the Australian Physiotherapy Association). 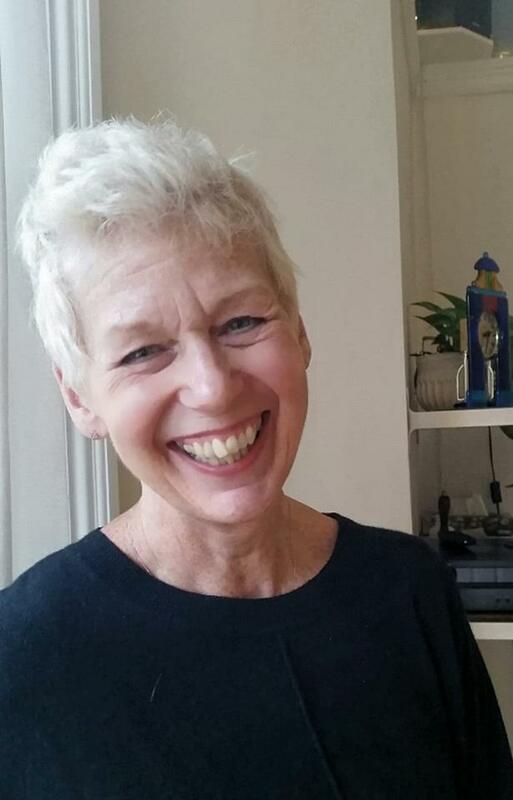 The whole experience inspired Lorraine to find out more and, after several years of Dru workshops and classes and a year studying on the BWY Foundation Course, she finally decided to do the 200 hour Dru Teacher Training in London. The plan was simply to deepen her own practice but she loved it so much that she wanted to share the wonderful sense of wellbeing and inner peace. Lorraine has an additional interest in Dru yoga for healthy backs and has recently undertaken further training in this area. Her classes provide a warm nurturing space for people of all ages and abilities to practise, unwind and relax. Lorraine can be contacted at lorraine61richards@gmail.com. Nam Prakash believes that happiness comes from having great energy and great relationships. If you can be really connected and loving and bring the energy you need to any situation then everything you need is going to come to you and most importantly you will be victorious. Without energy nothing exists and without nourishing relationships (particularly the one you have with yourself) everything in life can seem dull. Nam Prakash is a fully qualified Gestalt Psychotherapist and Couples therapist. She is registered with the UK Council for Psychotherapy (UKCP), is CRB checked and receives regular supervision. As a Kundalini Yoga Teacher she is registered with the Kundalini Yoga Teacher's Association, KYTA. 'Happiness is Your Birthright'. Chloe first discovered yoga at the age of 16 after attending a class with her mum. She soon fell in love with the practise, impressed with how it made her feel in both body and mind. Curious to learn more, Chloe completed a foundation course before going on to train as a teacher in 2010. Since qualifying, she has continued to study and train with some of the world's leading teachers such as David Swenson and Sarah Powers. As a sports therapist, Chloe brings her knowledge of the body into her teaching which focusses on alignment and mindful awareness to build strength and flexibility. Chloe believes yoga should be playful and inspiring and as a personal practise it should suit the needs of the individual. Ultimately she wants to empower students to use yoga as a tool to increase their health, wellbeing and happiness. For information, please contact Regan directly on 07921 210820. I have been working in the Health and Fitness Industry for 25 years, 17 years of these I have been teaching Pilates. I trained in London in 2000 and qualified as a Classic Pilates Matwork teacher and then in 2008 trained and qualified in Leeds as a Modern Pilates teacher, my classes combine a mixture of the 2 styles. My first experience with Pilates was many years ago when working as a fitness instructor teaching a wide variety of classes and being prone to injury. I couldn’t understand that I was physically very fit and why aches and pains were happening on a regular basis. On visiting a physiotherapist who explained to me my muscles were not working as they should be and that my muscles were imbalanced. I researched Pilates and with the wonders and benefits of helping me I trained as a Matwork Pilates Teacher. I have been teaching ever since and advocating the benefits and rewards of Pilates to many. Patience, persistence and understanding of your own body are vital to developing and achieving your own goals.